How do I delete someone from Gem? 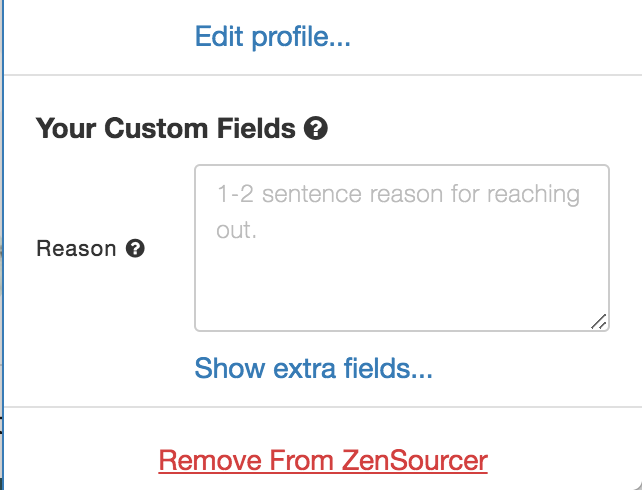 You can delete a prospective candidate from Gem by clicking the Remove From Gem link at the bottom of their profile in the sidebar. We generally don't recommend deleting people since they'll be deleted for everyone on the team, and all history of your team's interactions with the person (like completed Sequences) will be erased. 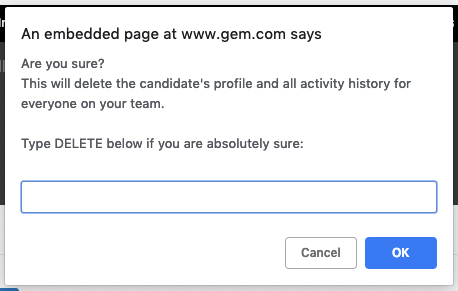 Need help deleting someone from Gem? Feel free to reach out to the Gem team by emailing us directly at support@gem.com or press "Chat with Us" in the Gem home page.